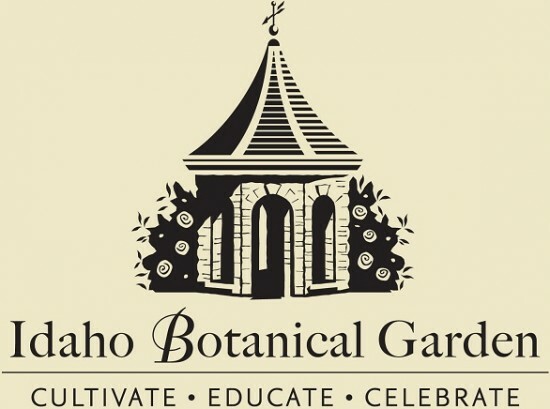 In observance of National Public Gardens day, the Idaho Botanical Garden will be open and FREE to the public Friday, May 10, 2013 from 10 a.m. – dusk. Enjoy a full day in the Garden with music in the afternoon, local garden and environmental businesses throughout the day, and food trucks and Indian Creek Winery arriving at 5 p.m.
View the plant displays in the Western Waterwise, Lewis and Clark Native Plant Garden, Foothills Native Plant Garden, and on our green roof at the Gathering Place. These garden areas demonstrate how water conservation and beautiful plants go well together and teach about our native plant heritage. National Public Gardens Day celebrates America’s public garden and their role in promoting environmental stewardship and awareness, plant and water conservation, and education in communities nationwide. Today, Idahoans will come together for a day of giving to support the nonprofits in communities across our state. From midnight -11:59 pm a share of every dollar raised by Idaho nonprofits will be matched with funds from the $50,000 Idaho Gives award pool. In addition, the top five organizations with the most unique donors will receive bonus grants of $3,000, $1,000, $500, $250, and $250 respectively. If you give between the hours of 9am(MT) and 6pm (MT), the organization you support has the chance to win an extra $1,000 because of your donation! Take advantage of this unique opportunity to multiple the impact of your gift by donating to your favorite Idaho non-profit today! For more information on Idaho Gives visit http://idahogives.razoo.com.